Dream Homes Lifestyle presents: Going, Going, Gone!...Maybe Not! >Back To > Home > Going, Going, Gone!...Maybe Not! Sep 6, 2011 - N.A. The art market is agog over Asian buyers, who, over the past few years, have driven auction prices to unprecedented levels, indicating a potential bubble in the industry. As if overvaluing the artwork was not worrisome enough, another alarming trend has emerged in recent months as some Chinese buyers are now refusing to pay the multi-million dollar winning bids that have rocked the auction market. Sellers are getting angry and art auction houses are being forced to implement more regulatory measures to curb out-of-control bidding. What is behind this behavior? And what can the industry do to prevent it? First, the facts. China is now the world’s largest art auction market, reaching $8.3 billion last year and passing the U.S. and U.K. in total spending, according to Artprice.com. Records have fallen across the board as all-time high prices have been paid for works by Picasso, Warhol and the like. Even more obscure items like vases and scrolls have seen their values inflate from the hundreds to the thousands and, in some cases, into the millions. 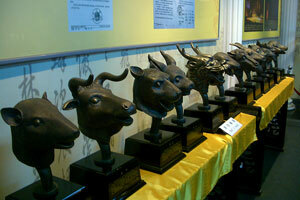 In spite of the flaunting of wealth in the auction room, several Chinese buyers are refusing to pay their winning bids. The most prominent example is an 18th century vase whose final selling price was driven up to $83 million by a Chinese buyer during a November 2010 auction. The British siblings who had put the piece up for sale will probably never see payment as the purchaser has since claimed he was not involved with the bidding and that media reports about his involvement are “pure nonsense,” according to a Telegraph article. 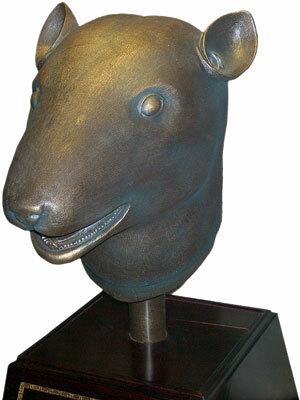 Another incident occurred in 2009 when Cai Mingchao purchased two bronze animal heads for $40 million and then refused to pay. He claimed the heads were illegally removed from China to begin with, having once graced a fountain in Beijing’s Summer Palace, but were stolen by foreign troops in 1860. Mingchao even held a press conference to publicly announce his refusal to pay for the heads. Payment default is frustrating for sellers because objects which are put up for bid a second time rarely net as high of a price as their first selling point. Consciously or unconsciously, bidders see the first price as overvalued, and few are willing to drive up the price a second time. Auction houses can afford to be ambivalent about the situation as they are not legally required to insure most defaulted bids. Even with a few bad eggs refusing to pay up, there is little incentive for auction houses to limit who can and cannot bid by implementing security deposits and demanding submittal of financial statements. The houses want to keep buyers happy and spending, since they reap a 25 percent commission on the majority of buyers who do pay up. Francois Curel, president of Christie’s Asia, admits to payment delays but adds that because the selling prices are so high, it “will compensate for a month or two of late payments.” Easy for him to say. Hong Kong revenues alone accounted for 20 percent of Christie’s record $5 billion in global earnings for 2010, according to a Newsweek report. Some Chinese buyers are flashing big money in the auction room but proving unreliable when it comes to paying up. Without the support of the auction houses, some sellers have taken matters into their own hands by taking legal action against reneging buyers. Nicholas Coulson, who sold an assortment of high-value Bordeaux wines last November, did not see payment for nearly two months. Standard payment is within 35 days, and he was paid only after he threatened serious legal action. He has since filed a lawsuit against Christie’s to reimburse him for legal fees incurred while trying to obtain payment. Jean Marc DeCrop, a specialist in dealing Asian art, found himself doubting he would see payment for a Chinese painting sold in Hong Kong. After a four-month nightmare, he was finally paid. DeCrop has noticed differences in collecting payments from difficult Asian buyers as compared to American bidders. In the Newsweek article, he relates a story about an American who developed a cash-flow problem, but was very open about the issue and arranged an installment plan for payment—a willingness to honor payment that has been noticeably lacking from some of the Chinese buyers. Although they are not liable for bogus buyers after the fact, some auction houses have started to enact more front-end regulatory measures as a defense mechanism. 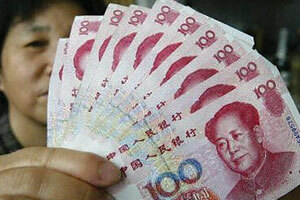 A longtime practice in Asian auction houses, some international auction houses have started to require cash deposits. (Perhaps this is why we have seen a sudden spike in Asian buyers—they might be trying to escape the rules of Asian auctions). Yet, the early outlook on such a decision is negative. An April Sotheby’s auction required a $500,000 deposit to bid. 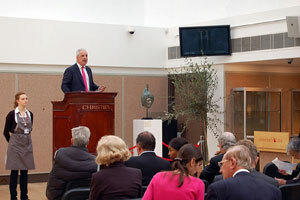 Thirty percent of the pieces went unsold, including some expected to fetch top prices. Potential buyers were either deterred, offended or both because of the deposit requirements. The implementation of a pre-auction deposit is construed by some Chinese as a disrespectful gesture, who feel such a requirement implies untrustworthiness. I suppose the irony is lost on how disrespectful it is not to honor debts you voluntarily elected to incur. 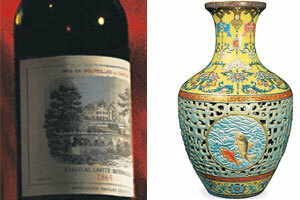 Left: The seller of three high-value Bordeaux wines had to wait nearly two months and threaten serious legal action against the buyer before receiving payment. Right: The Chinese buyer of this now infamous $83 million vase has since claimed that his involvement in the matter is “pure nonsense” and refuses to pay. Time will tell if auction houses continue with stricter policies or if they will leave the floodgates open for unsecured bidding. If buyers continue to prove unable or unwilling to pay, auction houses will have no choice but to instill necessary restrictions moving forward. Prices might trend lower, but reliability and trust must be restored to the market.